Is Rental Insurance Really Necessary on My Iceland Trip? Picture this scenario. You pull up to the car rental desk either at Keflavik Airport or downtown Reykjavik. As the agent organizes your paperwork and explains the finer details of your car rental, they ask if you’d like to upgrade to get the insurance. And I know exactly what you’re thinking, mainly because I’ve thought it to myself. Multiple times. Everyone knows that springing for the the insurance is for suckers. It’s just an add-on designed to squeeze extra money out of you for an already expensive rental. “No thanks!” you say, patting yourself on the back for being such a savvy traveler and dodging that bullet. Well not so fast, Mr. Smartypants. 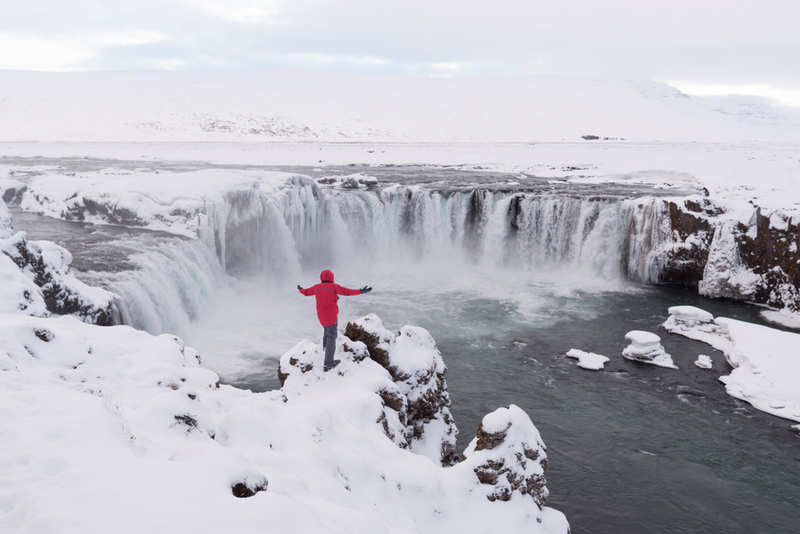 You may have heard that Iceland is different than anywhere else you might experience. That is 100% true and I’d like to tell you why you might want to consider opting for the the insurance in Iceland. Iceland is a land of extremes. Extreme climate, extreme weather, you get the picture. Things happen here that don’t happen anywhere else. Our unique landscapes feature active volcanoes, slippery roads, and unpredictable driving conditions. That why we have some types of insurance that don’t exist elsewhere and why the government requires a minimum level of insurance on all rental vehicles. There are four main types of car rental insurance in Iceland: CDW and SDCW (Collision Damage Waiver and Super Collision Damage Waiver), GP (Gravel Protection), SAAP (Sand and Ash Protection), and TP (Theft Protection). Each one addresses a specific need, so let’s look at them to see what they cover. This insurance provides basic protection against damages caused by accidents. CDW is actually mandated by law, which means your car will already have it. Any quote that you receive from a car rental company should already include the cost of CDW insurance. SCDW is pretty much the same. The only difference is that your deductible is lower with SCDW. Gravel Protection may be a new type of insurance for you. If you’ve never heard of it, let me explain. Iceland has a lot of undeveloped areas, like the Highlands. Even the Ring Road, the country’s circular main highway, has some parts that are unpaved. When driving above a certain speed, it can be quite easy to kick up the stones and pebbles on these gravel roads and mountain paths. Unfortunately for you, these tiny little troublemakers can also cause damage to your car. When flung at the right speed, they can hit anything from the tires, to the underside of the car, to the body, to the windshield. Mix it with freezing ice and you have a recipe for disaster. Gravel protection is just what it sounds like. It covers you and reduces the deductible from damage caused by gravel. And don’t just think you can drive slowly. You might be following someone or have an oncoming car send some icy covered gravel flying hard in your direction. Something that surprises many visitors to our island is the fact that we get sandstorms and ash storms. It’s no big secret, it’s just that many people associate those types of weather events with the desert or the Middle East. But in fact, we’ve got lots of volcanic sand and ash floating around thanks to dozens of active volcanoes like Eyjafjallajokull. Iceland is also quite windy, and sometimes the elements get whipped into a frenzy. The result is an ashy storm that comes out of nowhere and can wreak havoc on your rental. It’s why SAAP was created in the first place. This type of insurance covers damage inflicted by ash and sand while traveling in Iceland and reduces your deductible. Theft Protection is the one that I don’t really think is necessary. Crime is quite low in Iceland and the chances of having your car stolen are slim to none. For this reason, most car rental insurance companies offer this as a kind of bonus and the deductible is zero. In the end, yes. In addition to the compulsory CDW insurance on all rentals, it’s also strongly advised that you get the SCDW, GP, SAAP, insurance. The only one I would consider optional is TP. You need to be protected against both the elements in Iceland and other drivers traveling on snowy, icy, gravel-filled roads. These different types of rental insurance are your best bet. Check with your rental company to find out how much the deductible is for each type of insurance. They might also have some sort of premium or platinum package that gives you zero liability. Of course, you have to be smart with your rental. But these types of insurance will provide that extra peace of mind.